We know how important it is to live in a safe and beautiful home. We inspect your home, offer advice about any pest control problems, perform an initial treatment to rid your home of any existing pests, and design a maintenance program for your home. Seal cracks and crevices where pests can get into your home. Get rid of stacks of newspaper, papers, bags, and cardboard boxes that make good homes for pests. Wipe up spills and crumbs right away. Clean your dirty dishes right after eating. Pests thrive on moisture. Keep them from getting to water by fixing leaks and not leaving dish water in the sink overnight. We apply a long lasting residual insecticide to the exterior of your home. We can also apply a long lasting residual insecticide to your yard - the long lasting insecticides we use for boundary treatments are used in playgrounds. Our perimeter treatment includes treating the walls, foundation, and 6 – 10 feet out around the entire structure of your home. This treatment will reduce pest’s ability to live and breed around the immediate perimeter of your home, therefore reducing the amount of problem pests that get into your home. The more you can do to prevent pests from the outside in, the better off you are going to be in the long run. In conjunction with the General Pest Treatment, the Perimeter will offer you a great protective barrier for your home. Interior areas are inspected and treated specifically for the pests present in your home. A combination of residual insecticides, baits and traps may be used based on your concerns and particular pests. Crack and Crevice Pesticide Placement - Chemical materials are placed carefully only in areas where the insects live and breed such as dark, enclosed areas within walls and under cabinets. Our process assures that will be minimal exposure to children, food, or pets. Insect Growth Regulators - These chemicals duplicate the insect's natural hormones to disrupt their natural growth and development. Carpenter Ant Treatment: Carpenter ants are a wood destroying insect that are classified in the same category as Termites. Carpenter ants make their colony in the structure of wood and burrow through wood like a drill, hollowing it out for their colony. These destructive insects cause millions of dollars in damages every year and if left untreated can destroy the structural integrity of your home. This treatment includes both inside and outside application, as well as the attic, and treating the wall voids that are infested. Fire Ants: Fire Ants are well known in Texas because of their huge mounds, large colonies and very painful sting. We offer fire ant control by treating your yard with a product that will not only kill the colony but keep it from coming back. 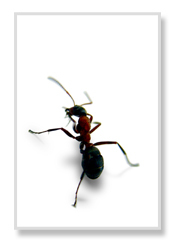 Pharoah Ants: These household pests can invade your kitchen and bathrooms in numbers that will astound you. Feeding primarily on sugars and proteins, they will get into everything that is in your pantry trying to supply their colony with food. To control this pest we use a product that is an alternate food source. This bait will be carried back into the walls and feed to the colony including the queen. This treatment attacks the rodent problem at the source. Rodents live in attic spaces, crawl spaces and other areas of your home that will provide them with adequate shelter. Our Rodent treatment attacks the rodents need for food. We use a commercial Rodenticide that once feed on, kills the rodent when it drinks water. Rodents can cause serious damage to your home if left untreated, and carry a number of diseases that are transmittable to humans. We recommend that you protect your home against this invasion, both inside and out. Season after season, your home will be exposed to different types of pests -- roaches, ants, spiders, birds, and rodents will all be trying to make a home in yours. To make sure the pests you’ve so carefully controlled don’t return, you can contract for continuing regular pest control services.